Please meet the tour at Holt Street Wharf, 220 Holt Street, Pinkenba. Please check in at 9:00am for a 10:00am departure. Return transfers are available in Brisbane from the locations below for an additional $25. You must upgrade at the time of booking to secure your transfers from Brisbane. Dolphin Feeding: Get up close and personal with the dolphins as you hand-feed a fish to one of the friendly mammals during the evening feeding presentation. Upgrade to dolphin feeding with complimentary digital downloadable photo as a memento of your unforgettable experience. Brisbane Return Bus Transfers: available from selected locations listed under the pickup locations tab. Please note upgrades are subject to availability. 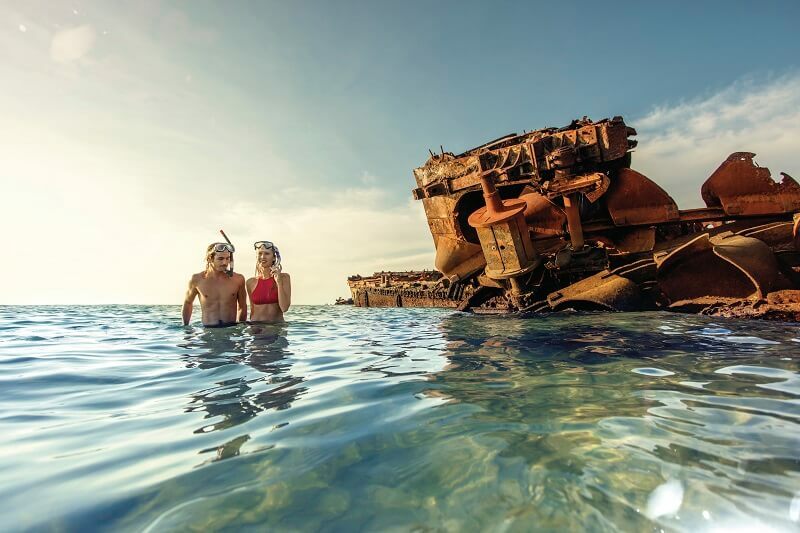 Enjoy the spectacular scenery and intriguing wildlife of Moreton Island, with full access to Tangalooma Resort facilities, on this one day cruise from Brisbane. 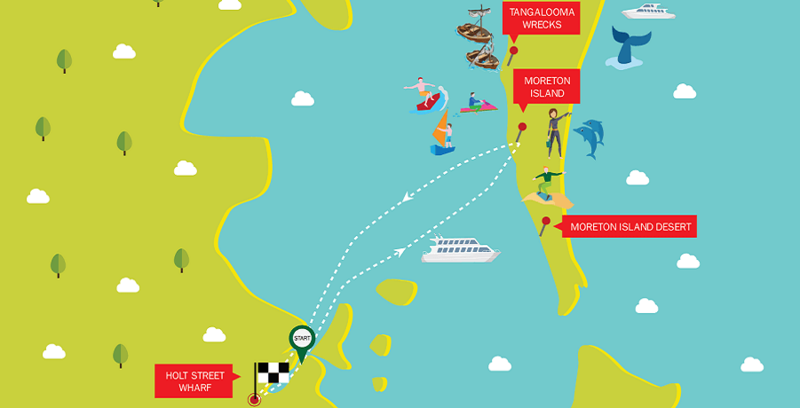 We leave Brisbane in the morning and head for Moreton Island on a luxury catamaran. Sit back and relax with a complimentary tea, coffee or soft drink and appreciate the city from a new perspective as we journey towards our destination. 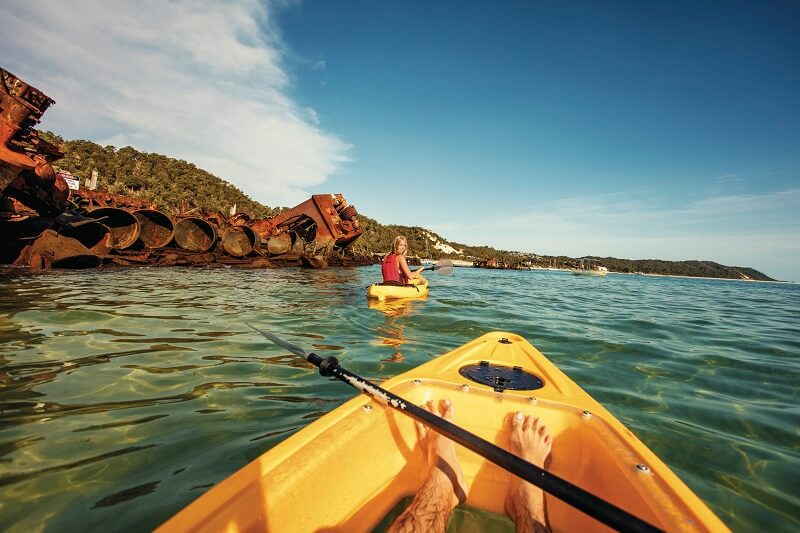 Once we arrive at the island, you will have full use of the Tangalooma Resort facilities to make the most of your day. 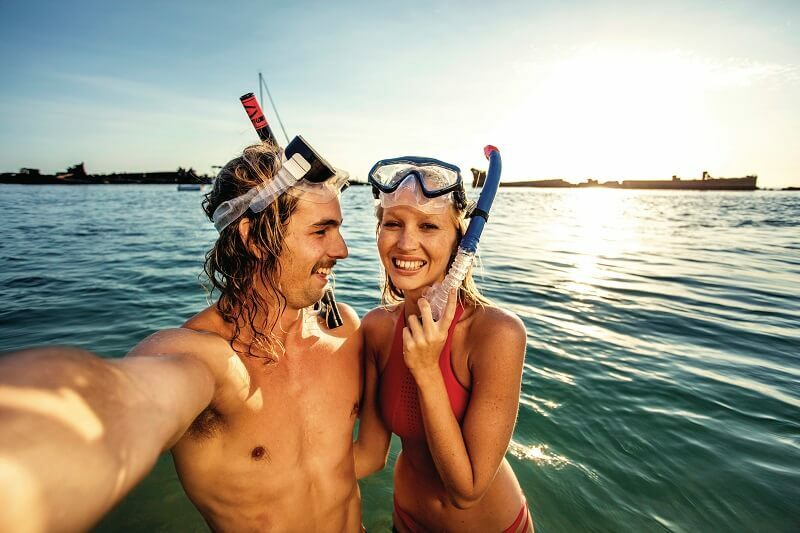 Chill out by the swimming pools, grab a drink at the bar, use the various sports facilities or just enjoy the spectacular scenery of Moreton Island. Choose one of five activities to further explore the island during the day. 1. Marine Discovery Tour: Explore the coastline of Moreton Island in search of sea life including dolphins, dugongs, sea turtles and more. 2. Desert Safari Tour: head to the Tangalooma Desert for a 4WD adventure to try your hand at sand tobogganing (weather permitted). 3. Jet Boat Tour: experience a rush of adrenaline on this 45 minute fast boat adventure as it performs exciting manoeuvres such as figure 8s, 360 degree spins, wave jumps and tail slides. 4. 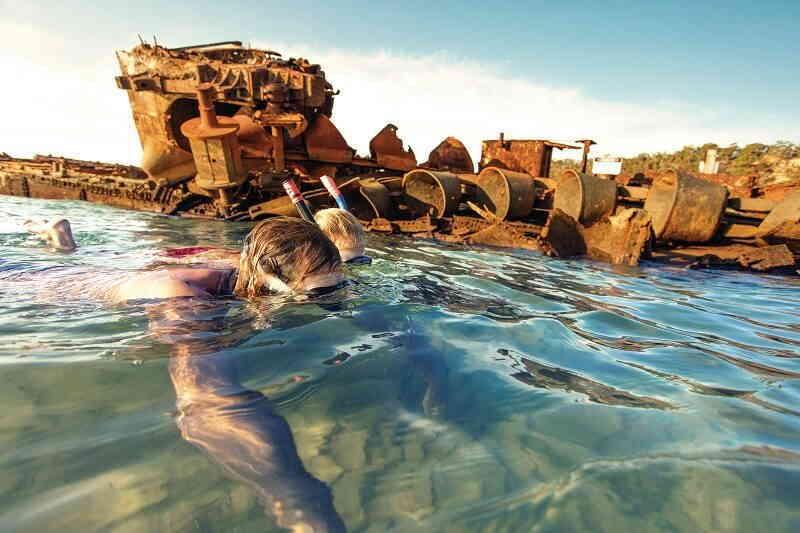 Wreck Snorkelling Tour: discover a myriad of fish species, coral formations and marine life as you snorkel the Tangalooma Wrecks on this 1.5 hour tour. 5. Whale Watching Cruise (June – October): journey on our comfortable catamaran in search of whales during the winter months. Learn about dolphins with a “Discover the World of Dolphins” presentation at the Marine Education Centre. 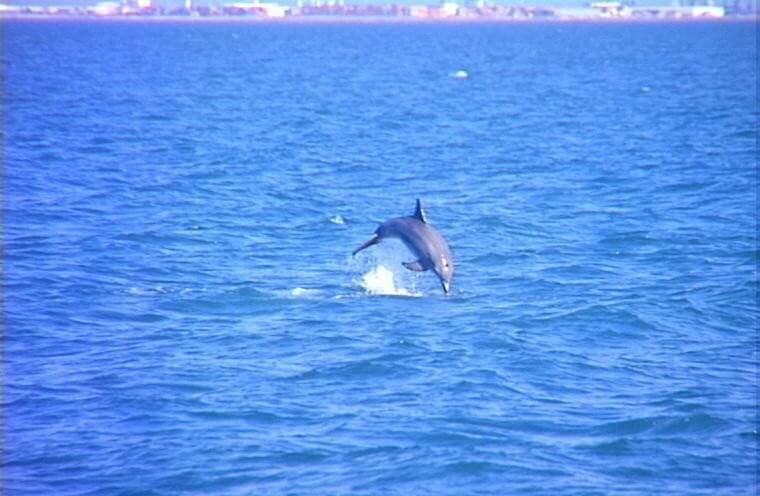 Then as the sunsets, enjoy viewing from the jetty of the friendly dolphins as they come ashore for their nightly feed. At the end of the day, we return to Brisbane with irreplaceable memories of the spectacular Moreton Island and its intriguing wildlife. 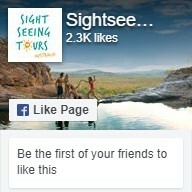 Why not check out our other Brisbane Tours?